The Australian Greens are committed to supporting the clean, green solar hot water industry, and are working with the government to reach a solution. 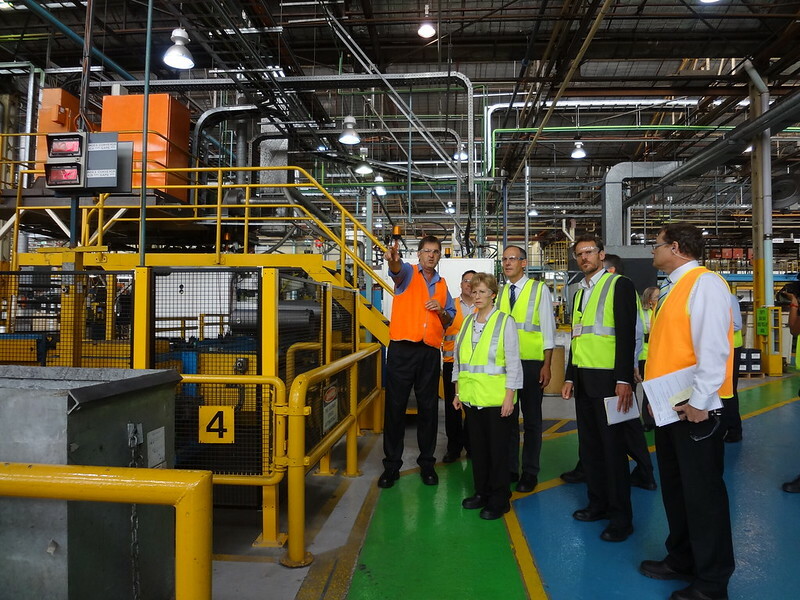 Australian Greens Leader, Bob Brown, Deputy Leader, Christine Milne, and NSW Senator Lee Rhiannon reinforced the commitment while visiting Rheem's solar hot water manufacturing plant in Sydney today. "Solar hot water helps householders save money on their power bills while cutting their climate footprint, it creates jobs in manufacturing and installation, and it's building an export industry. It makes absolutely no sense to cut support for an industry like this," Senator Milne said. "There is clearly some dispute about when and how this particular scheme was supposed to end, but frankly that is beside the point. "Fundamentally, this is an industry which needs support through this rough patch if it is to flourish, and the Greens will do everything we can to see that solar hot water is supported, as we have done over many years. "Following the successful passage of our motion through the parliament last week, we have initiated discussions with the government about how to maintain jobs in the industry and keep supplying householders with Australian made solar hot water systems. "Solar hot water is a clean, green manufacturing industry central to the move to a clean energy future and it will soon benefit from the carbon price. But now, in the face of a high dollar and cheap imported instantaneous gas heaters, the industry needs support. "It would be foolish and short-sighted to allow an industry like this to wither on the vine just before the signals come in to allow it to flourish. "If this was a car maker or a smelter, the government would bend over backwards to help them, not pull the rug out from underneath them even further. "Unlike the multi-billion dollar subsidies to the big polluters that have been in place for decades, the solar hot water industry says it only needs assistance for a few years before it becomes competitive in its own right. "If the Gillard government is serious about moving to a clean energy future, it should immediately bring back its support for the solar hot water industry, to help it through the hard times that are hitting so many manufacturers right now."